Ever since I bought my baby blue coat from ASOS, I’ve been obsessing over colored wool coats! I mean, who wouldn’t?! They can dress up any outfit and they are the perfect gloomy winter day accessories! Here are a few styles I would definitely wear any given day! Now, the way my bank account is set up, I can’t afford them all…or should I say none. Ahh, why do we always create inspiration boards filled with the most expensive stuff?! BECAUSE THEY’RE THE MOST WELL-DESIGNED AND ENVIABLE STUFF THAT’S WHY! So here I am, trying to make a choice. I’ll probably end up getting a camel coat simply because it’s so chic and timeless! 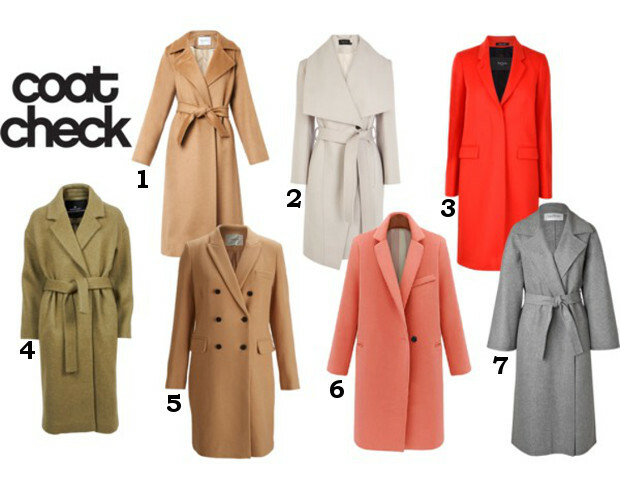 I have been on the lookout for the perfect camel coat for quite some time now; it is so hard to get my hands on it! Zara came out with a nice one this season, but I felt like every girl who owned a camel coat in Montreal got it from there. And I don’t like wearing the same stuff everybody else has. This pursuit of uniqueness has pushed me to shop online and live with the downsides of it (wrong item, wrong size, wrong color…I’ve been through it all). Until I find my dream coat, I’ll keep daydreaming about these mouth drooling pieces, and spend my free time searching for cheaper options! OH GUURRD, why ain’t I rich yet?! Am I the only one craving wool coats? Would you dare wearing colorful ones?